While you’re visiting the Smokies you will want to take advantage of our 800 miles of trails for hiking, exploration and plenty of sightseeing. A Smoky Mountains hiking adventure is the perfect way to start off a vacation during the hiking season. Surrounded by breathtaking mountaintops, the journey along one of the scenic trails makes for a perfect outing. 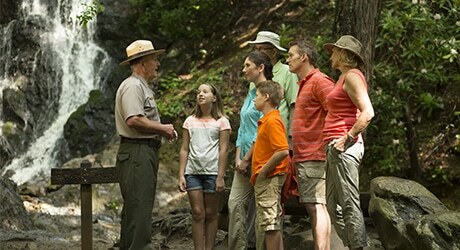 The Smokies have something to offer for hikers of all skill levels. Plus, the vast scenery options range from geological structures, to old growth forest. 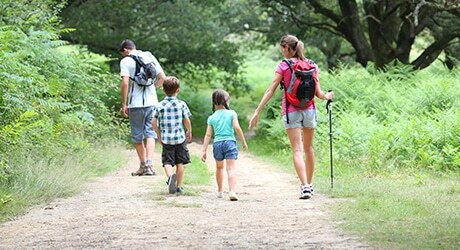 Hiking in the Smokies can be quite challenging, and hiking any trail above your fitness level can make for a less enjoyable day while out on the trail. You will absolutely want to bring your camera and grab a snapshot behind the falls.